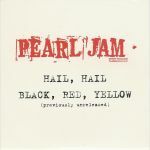 Hail Hail Hail haiL HAIL haiL HaIl.....Good Rocksong from The '96 Album "No Code"....... It sounds like a real Punk song ! US #9 in den Rockcharts..treibt an! Good song, I prefer it over Who You Are.